Masters Insurance Group has been assisting people since 1996. 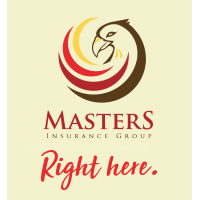 Located in Westerville and Pickerington, OH, Masters Insurance Group offers auto, home, life, commercial, disability insurance and financial services. We pride ourselves on our customer service and knowledge of the products. For more information, contact Masters Insurance Group for your trusted and experienced insurance agency. Currently there are no reviews for ' Masters Insurance Group Inc. '. Nationwide Insurance: Masters Insurance Group Inc.